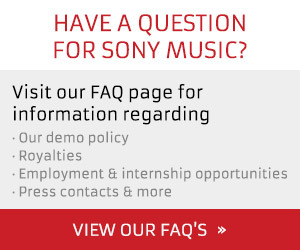 NEW YORK, Feb. 7, 2018 /PRNewswire/ — Legacy Recordings, the catalog division of Sony Music Entertainment, and RCA Records will release Elvis Presley: The Searcher (The Original Soundtrack) on Friday, April 6. 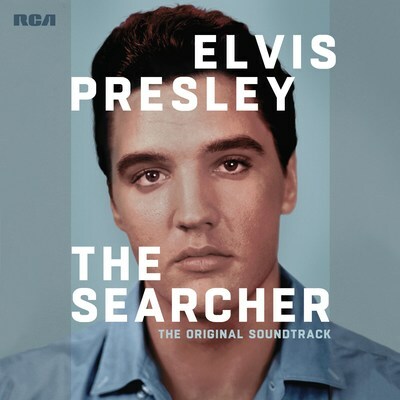 The musical companion to the two-part documentary directed by Emmy® and Grammy® award winner Thom Zimny, Elvis Presley: The Searcher (The Original Soundtrack) will be available in digital and physical configurations including an 18-track definitive soundtrack, a 2LP gatefold 12″ vinyl edition and a 3CD collectible deluxe box set. Elvis Presley: The Searcher (The Original Soundtrack) includes the 18 essential Elvis Presley hits, powerful performances, and rare alternative versions of songs at the musical core of the groundbreaking three-hour two-part film which focuses on the development of Elvis’ spellbinding artistry, from his early blues and country roots and influences through his seismic contributions to popular culture to his 1976 recording sessions at the Jungle Room in Graceland. The two-part documentary film, which will premiere in the United States on HBO on April 14, 2018, uses rare footage lensed throughout Elvis’ life and career as a means of exploring Elvis’ singular musical vision in all its complexity. The 3CD deluxe box set features 37 additional Elvis cuts plus a special disc featuring selections from Mike McCready’s (Pearl Jam) original score for “Elvis Presley: The Searcher”; Tom Petty and the Heartbreakers performing “Wooden Heart”; and the music that inspired Elvis (including R&B and country classics and “Home Sweet Home” sung by his mother, Gladys Presley). The Elvis Presley: The Searcher (The Original Soundtrack) deluxe 3CD set includes a 40-page hardcover book featuring rare photography, liner notes by Warren Zanes, and a director’s note by Thom Zimny. ELVIS PRESLEY: THE SEARCHER, an HBO Documentary Films production, in association with Sony Pictures Television, debuts in the United States on SATURDAY, APRIL 14 (8:00-11:00 p.m. ET/PT) on HBO. Priscilla Presley, David Porter (legendary Memphis music writer and producer), Thom Zimny (director), Jon Landau (producer) and moderator John Jackson (SVP A&R, Sony Music) will discuss the film, the cultural impact of Elvis’ music and how that impact became the embodiment of rock ‘n’ roll at the 2018 SXSW Festival in March.